Maharana Raj Singhji’s time (1652-1680AD) on the Gaddi was a poignant time not only in the history of Mewar but in the history of India. He was a contemporary of the Mughal Emperor Aurangzeb, Chatrapati Shivaji Maharaj, Maharaja Chhatrasalji of Bundelkhand and Vir Durgadas Rathore. Against the systematic destruction of Hinduism in general, these giants of men individually stood up in their respective kingdoms to defend their mother land against the tyranny of Aurangzeb. Mughal Emperor Aurangzeb was bent upon mutilating and destroying Hindu temples all over India. The priests of Shri Nathji temple in Mathura and Shri Dwarka Dhish temple in Dwarka wanted to escape annihilation at the hands of Aurangzeb. They therefore decided to take their respective personal deities away. 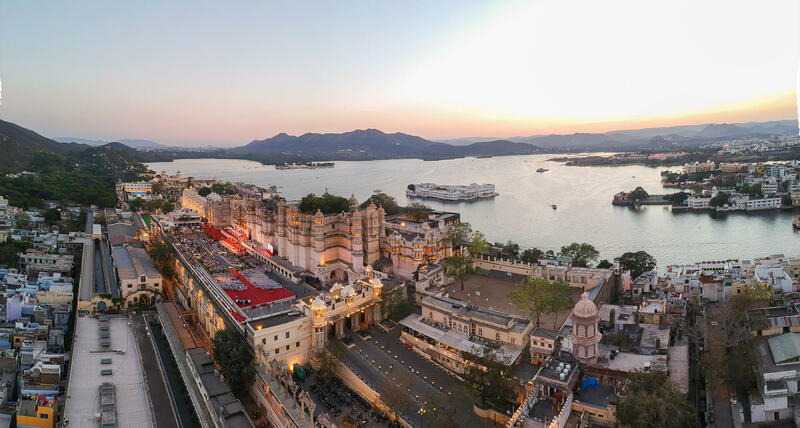 After being refused shelter by several Hindu rulers for fear of inevitable persecution they finally came to Udaipur, Maharana Raj Singhji gladly and willingly assured them of absolute protection in Mewar. He provided Shri Nathji with a Jagir at Nathdwara and Shri Dwarka Dhishji with a Jagir at Kankroli. This enabled the priests to continue uninterrupted worship of their duties by receiving revenue from their respective Jagir. By this act of devotion, courage and without fear of the consequence of retaliation, Maharana Raj Singhji saved the Vaishnava worshipers of these deities from extinction. His contribution in upholding and protecting Hinduism at this time was most exemplary and with far reaching implications. Although being a worshipper of Lord Shiva and being a disciple of the Nagda Brahmins who were Gurus to the family he accepted the priests of Shri Dwarka Dhish as his Guru as well and this practice is adhered to by the Mewar family to this time. 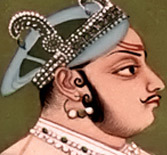 It is pertinent to observe that this action of Maharana Raj Singjji was a very bold and a unique commitment given the petty religious rigidity of the times. The Maharana Raj Singh Award is awarded in commemoration of the impact of the phenomenal role played by Maharana Raj Singhji during his life time. This award was instituted to honour deserving students of universities based within the municipal limits of Udaipur and also students from those colleges who are affiliated to these universities, but are located outside Udaipur, for distinguished achievements in (i) Games and sport (ii) Cultural, literary, co-curricular and extra curricular activities conducted by recognised body.